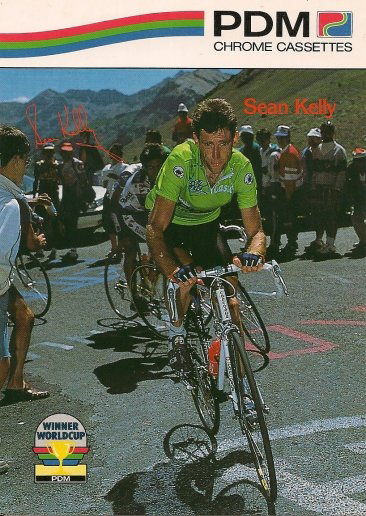 Sean Kelly (born May 24, 1956 in Waterford, Ireland) was the dominating classics rider of his time. He was so good he won Paris-Nice an astonishing seven times in a row (1982-1988). After an impressive amateur career he turned pro for Velda-Flandria to be a leadout rider for Freddy Maertens. Moving to another team sponsored by Flandria but managed by Jean de Gribaldy, he soon shed his domestique duties and was racing for his own account. Kelly possessed a fearsome sprint. Moreover, he didn't need a leadout train to make his way to the front of a race, he could win the mass romps by himself. He was also a superb time trialist, as his first and second placings in the GP des Nations attests. 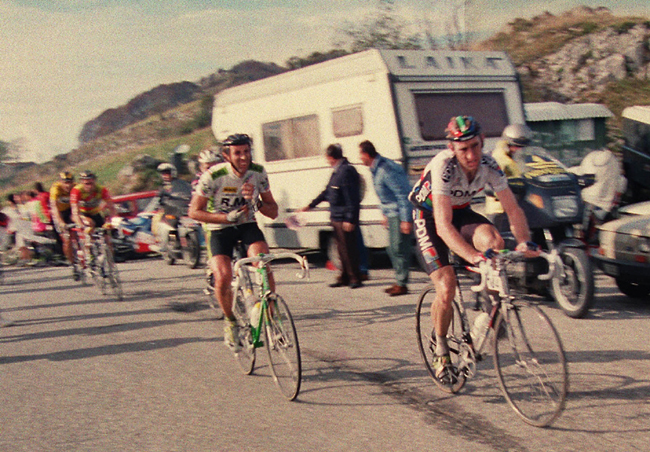 He hit his stride in 1982 when he won his first Paris-Nice and the first of his four Tour de France green jerseys. Though he won the Vuelta (thanks to sprint time bonuses and his time trialing) and several shorter stage races, he was never a real contender to win the Tour de France general classification. The Tour's extreme climbing did not suit his talents and he did not thrive in France's July heat. He was a real hard man, a flahute, and won some of racing's most difficult single-day races, including Paris-Roubaix, Liège-Bastogne-Liège, Giro di Lombardia and Gent-Wevelgem. Like Eddy Merckx, his last big win was Milano-San Remo. He is generally credited with winning 193 pro races, making him one of the best riders to have never won the World Championship (though he came in third twice). Kelly rides the 1982 Tour de France prologue. 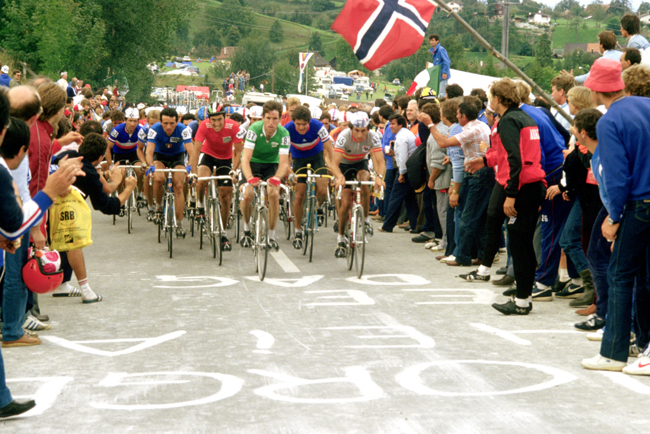 Sean Kelly leads the pack in the 1983 World championships. 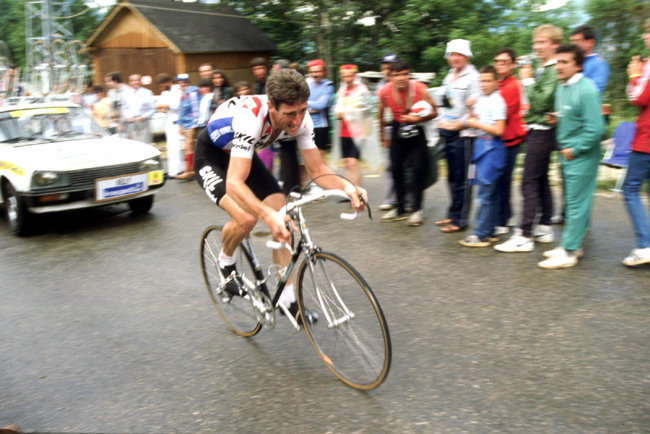 Kelly digs deep on the way to La Ruchere in stage 15 of the 1984 Tour de France. 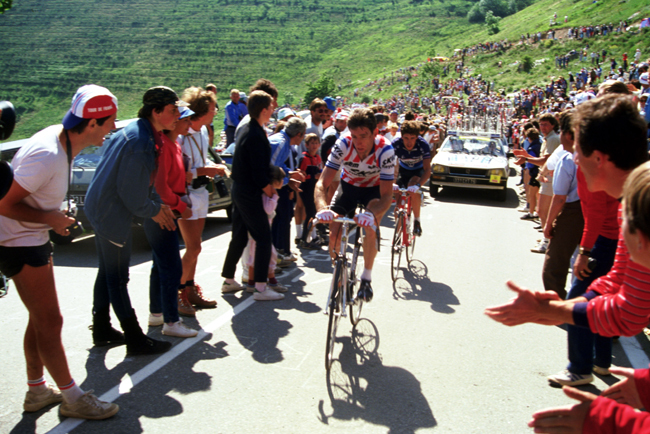 More climbing for Kelly, this time up l'Alpe d'Huez in stage 16 of the 1984 Tour. 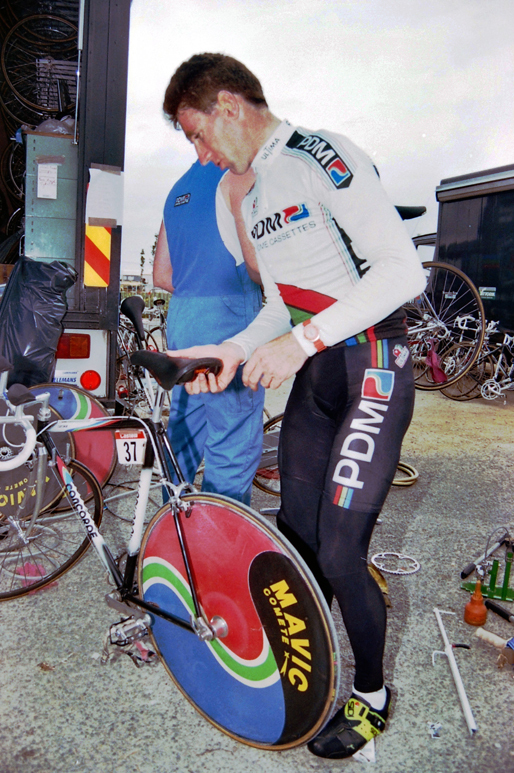 Kelly gets ready to ride the 1984 Giro di Lombardia. 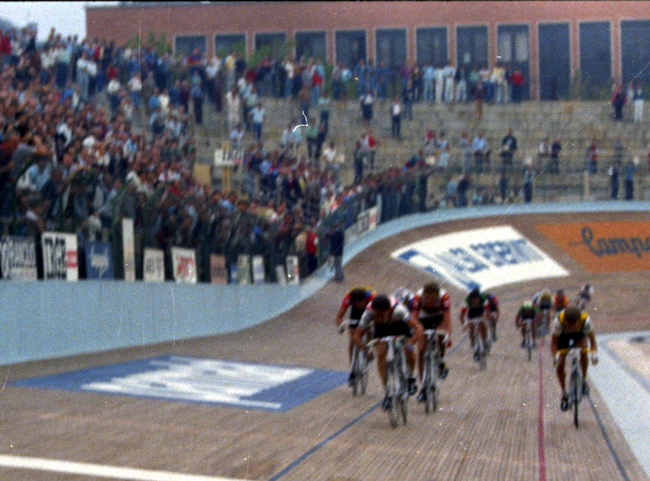 Kelly drives for the win in the 1985 Giro di Lombardia. After Kelly won the 1985 Giro di Lombardia he got some help cleaning up. 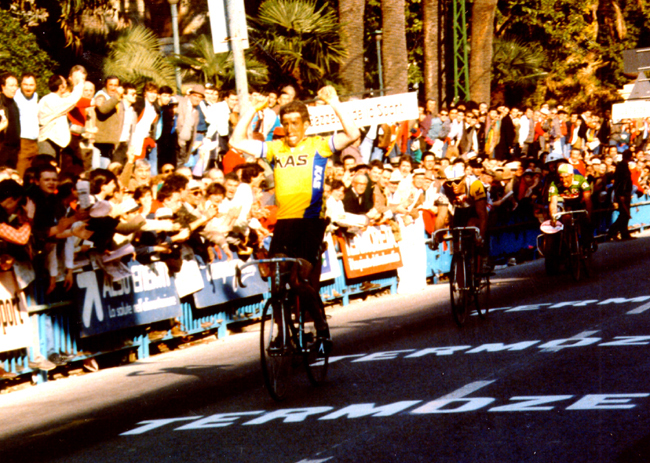 Sean Kelly wins the 1986 Milano-San Remo in front of Greg LeMond. 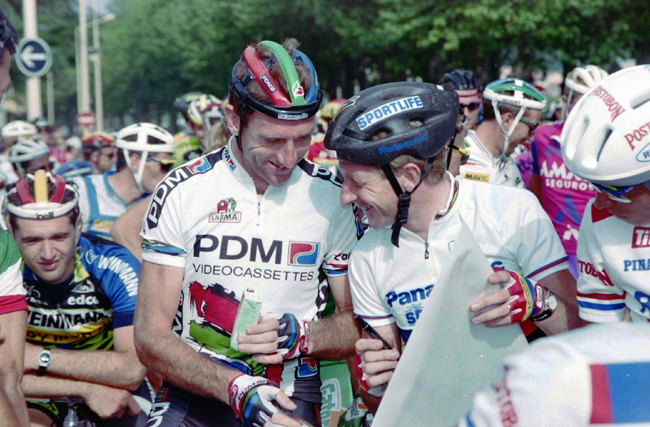 Kelly doesn't seem too stressed at the start of the 1988 Milano-San Remo. 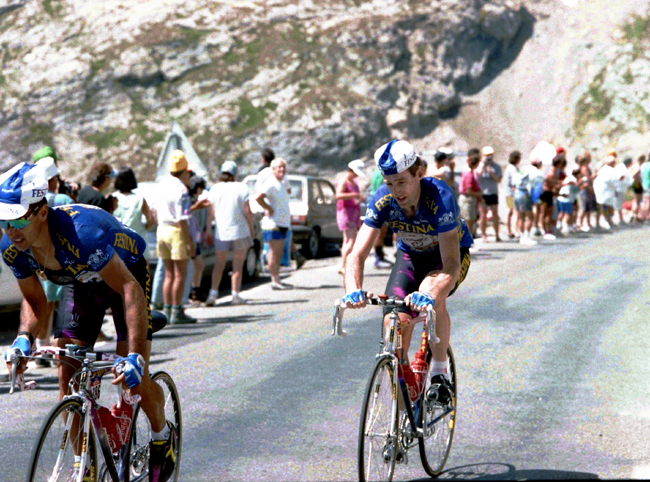 Kelly climbing to Villard de Lans in stage 12 of the 1988 Tour de France. 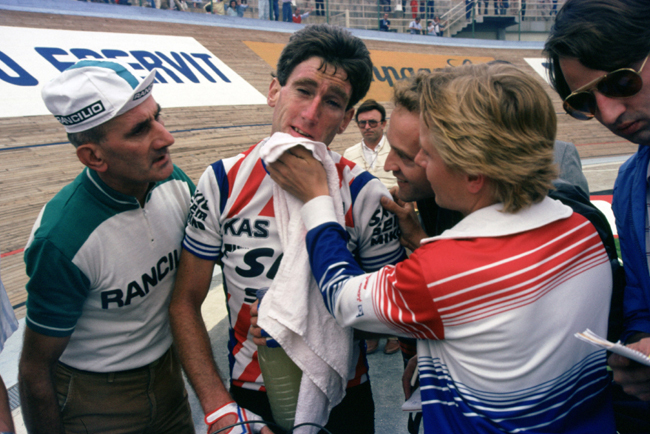 Chambery, France: Sean Kelly gets third behind Dmitri Konyshev and winner Greg Lemond at the 1989 World Road Cycling Championships. 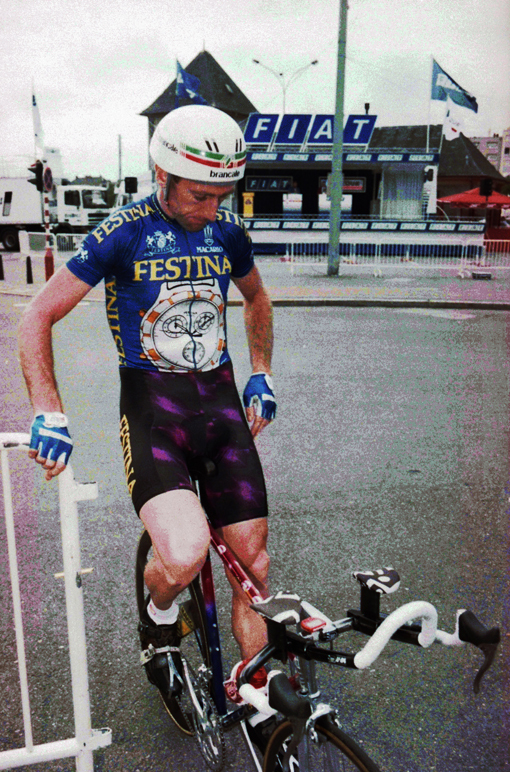 1990 Tour de France: Kelly gets ready to ride the prologue. Note the toe clips and straps, he was a very late convert to clipless pedals. 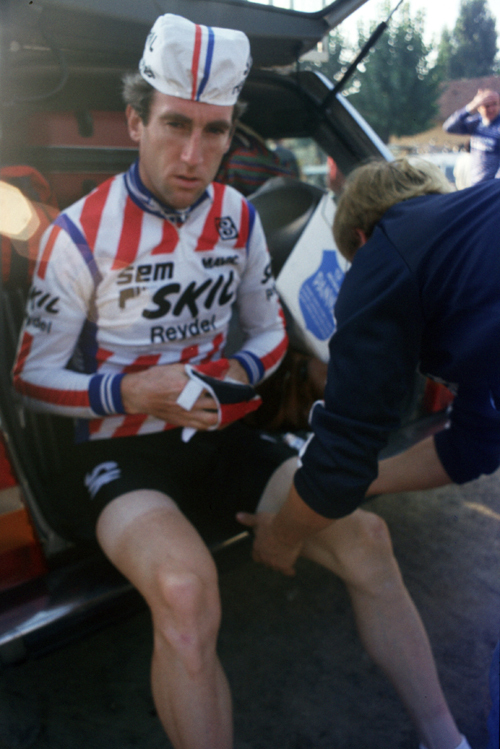 Sean Kelly rides the 1990 Giro di Lombardia. 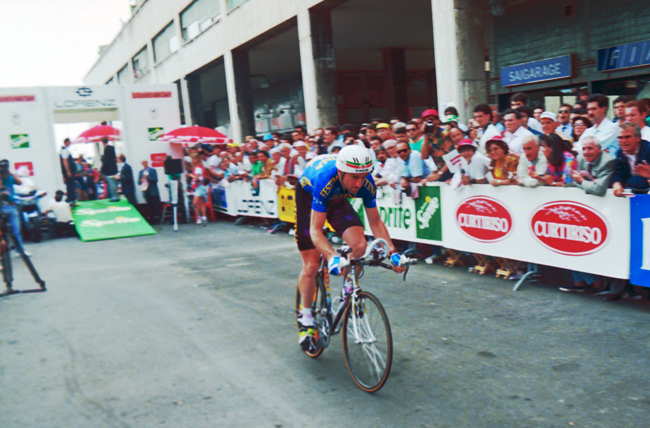 Kelly at stage 1a in Lyon of the 1991 Tour de France. 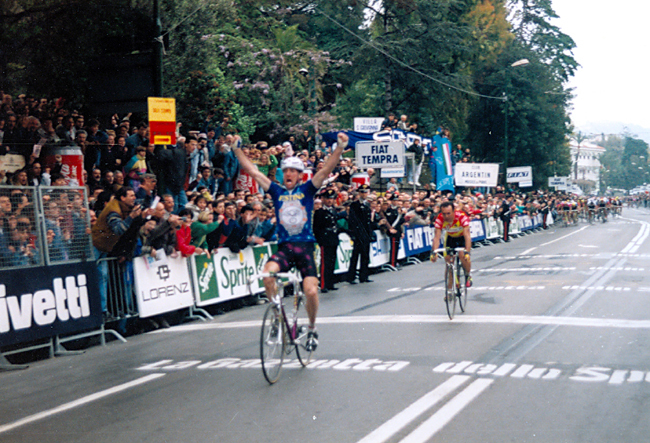 Sean Kelly wins the 1991 Giro di Lombardia. 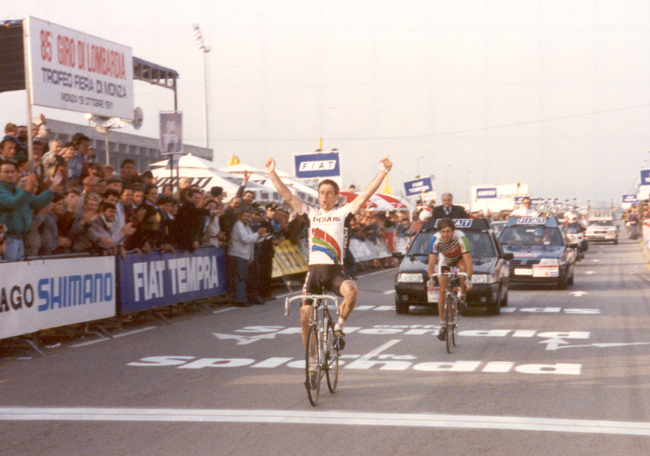 1992 Milano-San Remo, Kelly wins in front of Moreno Argentin. 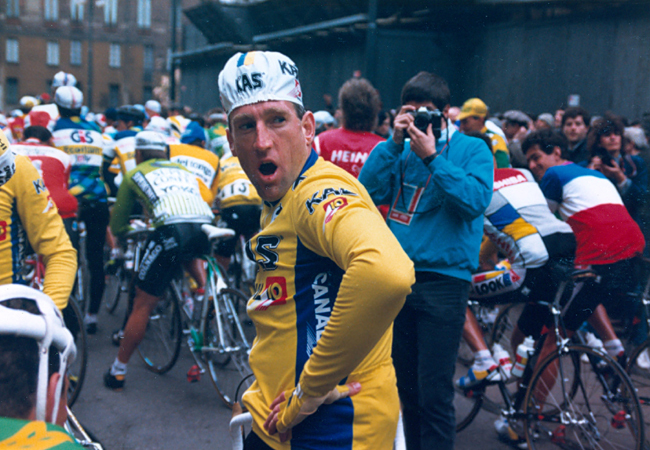 Kelly at the start of the 1992 Paris-Roubaix. 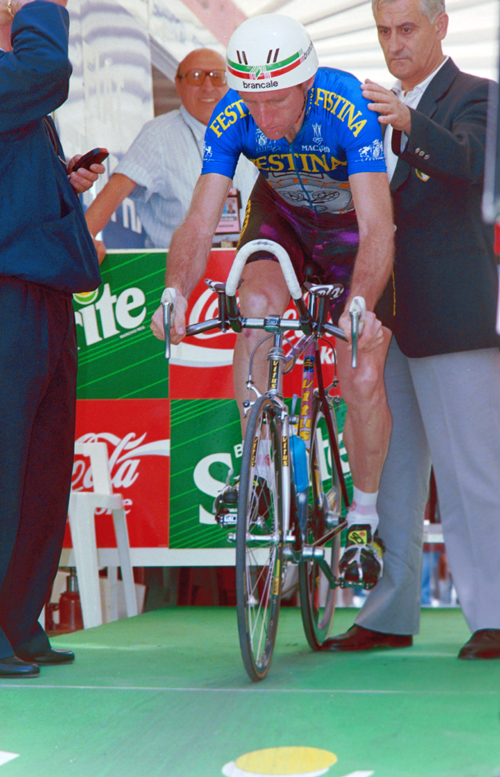 Kelly in the start house of stage 3 of the 1992 Giro d'Italia. 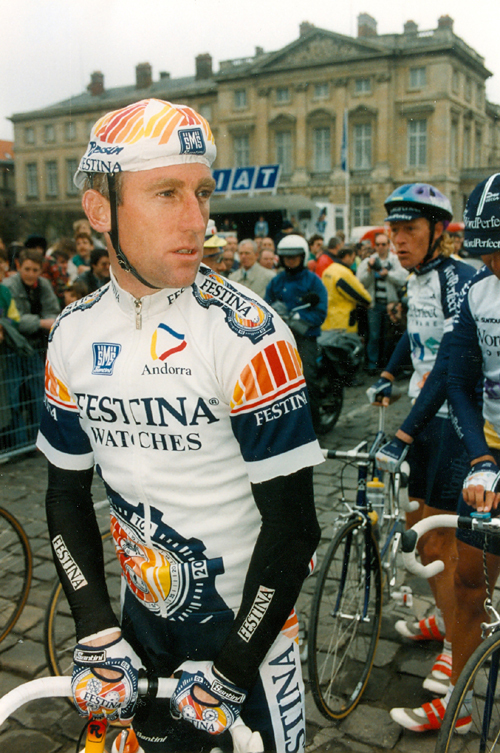 Sean Kelly starts his prologue ride in the 1992 Giro d'Italia. 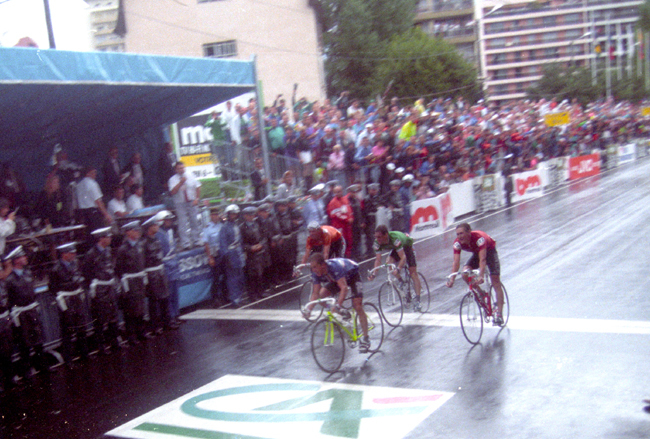 Stage 9 in Luxembourg of the 1992 Tour de France. 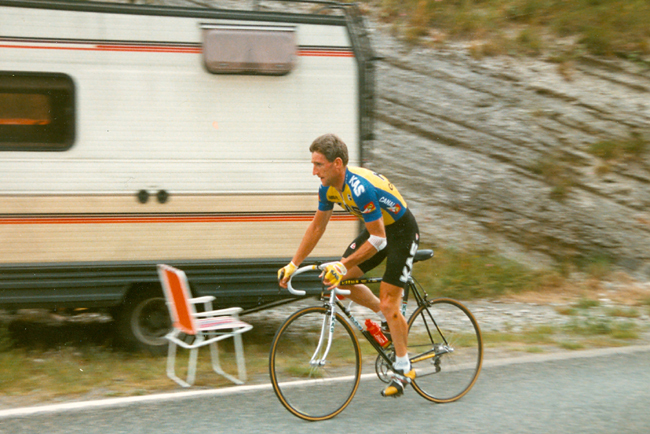 1992 Tour de France stage 14: Kelly climbs to l'Alpe d'Huez.